Pre-trial Intervention (PTI) is a program that is available to certain New Jersey offenders who meet the proper criteria. First time offenders who have never had a previous criminal conviction are eligible to be part of the PTI program. The offender will have to be supervised for between one and three years. There could be random urine tests as well as various costs that must be paid in order to take part. It’s also possible that the offender will have to perform community service, restitution will have to be paid and psychological or drug and alcohol testing and treatment will have to be completed. 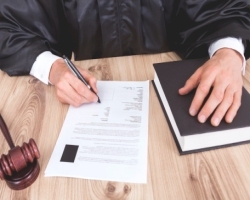 A defendant who is charged with an indictable offense is generally eligible to take part. Other factors that must be in place include the defendant’s age as this program is formulated for adult offenders. It is for New Jersey residents. The offense must have happened in New Jersey. Minor offenses for which the defendant is likely to receive a fine suspended sentence without being placed on probation or fined are not eligible for PTI. People who have been convicted of prior crimes are, in general, not eligible. Those who are on probation or parole are, for the most part, excluded. Defendants who have been part of a diversionary program in the past are also unlikely to be eligible for PTI. Many might believe that being charged with DWI in New Jersey is a criminal offense. It, in fact, is not. It’s a traffic violation. While a person convicted of DWI will have to pay fines, surcharges and other penalties as well as facing the possibility of jail time, it is not a criminal charge. Drivers who are suspected of DWI will be pulled over by law enforcement. The officer will then speak to the driver to see if there are telltale signs of drunkenness such as slurred speech, glassy eyes and the smell of alcohol. If there are still suspicions, the driver will be asked to take field sobriety tests such as the Walk-and-Turn test and One-Leg Stand Test. Then the officer will give the driver a breathalyzer. A driver is not allowed, under New Jersey law, to refuse to take a breath test. This is a separate charge in and of itself whether the driver was drunk or not. The officer must watch the driver for 20 minutes to make sure nothing is done – chewing gum, smoking a cigarette, regurgitating – to compromise the accuracy of the breath test. If a driver over the age of 21 registers 0.08% or above in blood alcohol content, there will be an arrest for drunk driving. For commercial drivers, the level is 0.04%. For drivers under the age of 21, the level is 0.01%. For higher levels of BAC, the penalties will rise commensurately. For a first offense DWI, the driver will be fined between $250 and $400. The Intoxicated Driver Resource Center (IDRC) will cost $230. $100 will be paid to the drunk driving fund and the Alcohol Education and Rehabilitation Fund (AERF). $75 will go to the Neighborhood Services Fund. There will be a surcharge of $1,000 per year for three years. The driver’s license will be suspended for three months. There can be up to 30 days in jail. PTI is basically designed to give people who have not had any prior issues with the law an opportunity to avoid a criminal record. An obvious question asked regarding an arrest and charges on the traffic offense of driving while intoxicated is whether or not it’s possible to take part in PTI in lieu of moving forward with a trial. For a DWI charge, because it is not an indictable offense and is a traffic offense, it is not eligible for PTI. Although the DWI charge itself isn’t eligible for PTI, there are circumstances when PTI can possibly be used instead of facing charges for acts that were allegedly committed during the DWI. For example, if a person got into a fight prior to the DWI, shoplifted, committed breaking and entering and numerous other acts, it is possible that the defendant will be able to take part in PTI to avoid some of the charges that were listed along with DWI. However, the driver will not be able to use PTI to avoid trial for DWI.